Transformative Tech: Tools and Technology designed to enhance human psychological well-being, cognitive function, and physical capabilities. By using cutting edge knowledge and technology, International Development Institute offers practical training services that improve and modernize organizational skills to support institutional objectives. Tools that leverage technology for mental-health and emotional wellbeing to enhance human performance. The same technique is being used to understand the pursuit of spirituality better. 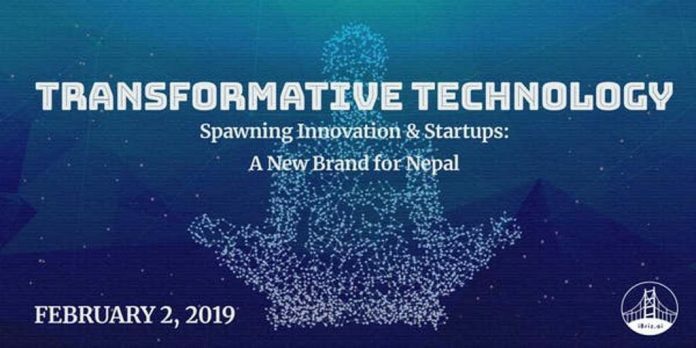 Great opportunity for spawning new businesses by using innovation, startups and the spiritual backdrop prevalent in Nepal. The global upswing in stress, anxiety, and depression has created a need for people to seek accessible, scalable, and affordable means to support mental health and emotional wellbeing. At the recently concluded CES 2019, the world’s largest consumer electronics show in Las Vegas, mental well being was the center of attraction. Transformative Technology is at the beginning of becoming the hottest area of innovation not only in Silicon Valley but also globally. 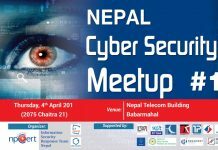 With the spiritual backdrop and growing number of extremely talented technology and a non-technology pool of younger generation, Nepal is perfectly poised to be at the forefront of this movement. 1. Those interested to understand how the scientific and non-scientific community is pursuing the well-being of the brain. The game will bring the two together. 2. Those who are interested in funding and supporting innovative startups in this space. 3. 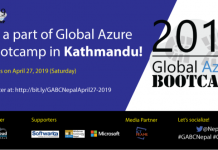 Those interested to learn more about how tech companies from Silicon Valley and beyond are working in this space and how Nepal can be a significant part of this eco-system. 4. Those who would like to see and use portable EEG devices to measure, in a non-invasive manner, their brain’s level of calmness. You will also gain ideas and insights on how you might increase your ability to focus. 5. Meditators or those interested in meditation who want to learn about examples of modern technology tools to serve them in their quest for achieving calmness of the mind in pursuit of consciousness. Dr. Jay Sanguinetti, Neuro-Scientist. Over the past few decades, the development of neurotechnologies for the treatment of neurological and psychiatric disease has increased. These interventions include noninvasive brain stimulation, neurofeedback, and wearable devices that indirectly interface with the nervous system. A growing body of literature in science shows that these neurotechnologies can be used to enhance human well-being in clinical populations, but they also open the possibilities that these technologies could improve happiness for non-clinical people. In this talk, Dr. Jay will discuss his current research investigating various forms of noninvasive brain stimulation to enhance human well-being, including focused ultrasound and low-level light stimulation. Jay will be presenting at TedTalk on the 26th of Jan, right before the Nepal event. Demonstration of how to use Muse to help improve meditation practice and mental health research. (iBriz AI team: Sagar, Aavas, Sandeep). This will be a live demo of a device available in the market which can help measure the level of calmness using EEG signals. Great for meditators and others interested in mental health. The team will briefly show how this data can also be downloaded for research purposes. The director of the Sound Healing Institute in San Francisco. David will talk about how each of us has a unique vibration. Now with the advancement of technology, we can measure that vibration and using customized sound/music we can address specific, psychological, cognitive and physical well being of an individual. Kumar Pandey (CTO iBriz.ai) & Dan Brehmer (Chief Data Scientist iBriz.ai) Just like how the Human Genome Project made scientific research more accessible on a global scale, Open EEG data can play a similar role in fostering innovation and lowering the barrier to entry for start-ups in this space. Enabling technologies like AI/ML and Blockchain will be explored. 5. A session by Mindscape Silicon Valley Transformative Tech Startup Mindscape: a gym for the mind using AI and VR.